Most horses will understand your canter aid whenever it is given and be willing to depart into canter as soon as they can. But if you’re having trouble; if your horse is sensitive; if you truly want your horse to progress through the levels or if you’re riding a horse that’s trained to a higher level than you, you will want to give your aids at the right moment. Know which leg is doing what through your seat? Time your canter depart aids in conjunction with your horse’s footfalls? Time your aid to coincide with the exact moment that the outside hind is about to come to the ground? It’s the outside hind leg that begins the canter depart. When in trot, it’s when the outside hind leg is coming through that you need to give the aid for canter depart. 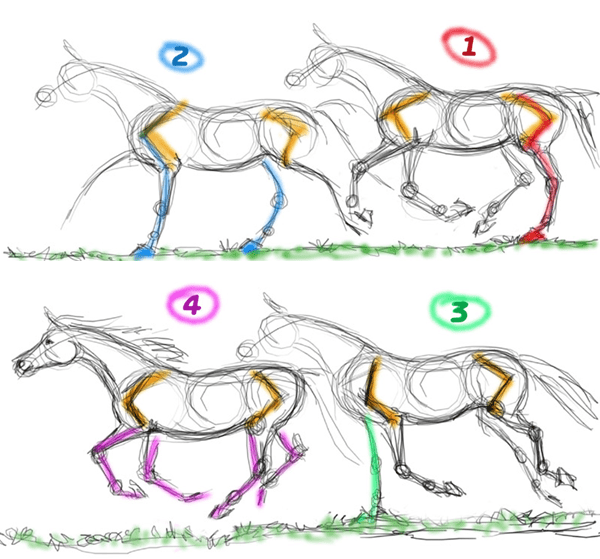 If you read my recent post on feeling the correct diagonal and you have been working on recognising and feeling it, the outside hind coming through would be during the sit phase of the trot. However, as you do not ask for the canter depart directly from rising trot, you will need to be in sitting trot for at least a couple of strides before you ask for canter. You really must work on being able to feel when the outside hind is coming through in the trot (more specifically as it’s getting ready to push-off). This is when your horse’s hip lowers on that side. From rising trot, take sitting trot, if you sit for two beats you should ask on the second beat, or the fourth beat or the sixth beat. An easier way to think about this would be – rise, sit, rise, sit, sit, ask for canter. Crystal’s Tip : Yet another ‘Eureka’ moment for me – ask and wait. There will be a very slight delay from the point at which you give the canter aid to the point at which your horse responds. This is particularly true if you have not timed your aid for when the outside hind is coming through. Give the aid and be patient. Have faith. It will happen. Do not be tempted to start pushing and shoving and tapping and clicking. The simple things matter. Being able to feel your horse’s gait under you is not difficult, complicated or arduous. Take a few minutes each session to master this skill. Simply give the aid and allow your horse to respond, sit up and enjoy. Very helpful, thanks. 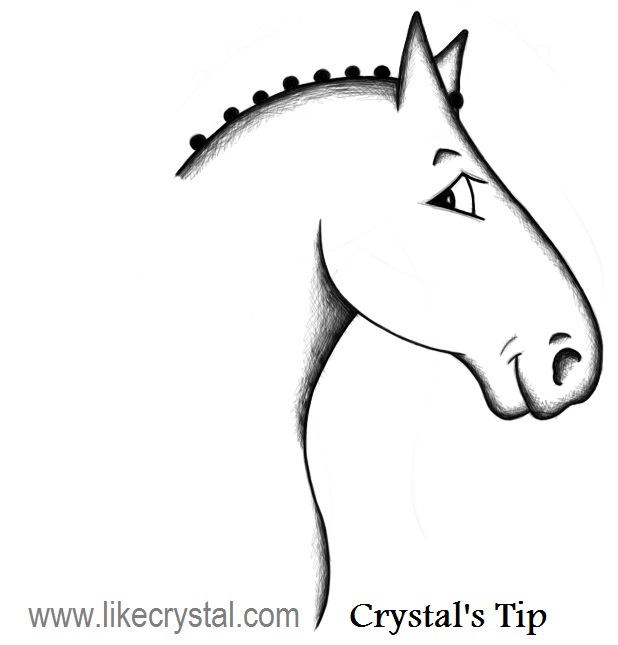 And the previous tip on getting the correct diagonal in trot by feel. Instructor just said I ought to be able to do that by now but no indication as to how, and worse, I didn’t ask. The movement is so quick I’ll need time to get the feel though. And I have been trying!